Andy will work closely with you, your design team, the onsite project manager, and all subcontractors and vendors involved in your project. Andy’s responsibilities begin with estimating and budget preparation, continue through the bidding and buyout phases and will remain involved with the execution of work and schedule management. 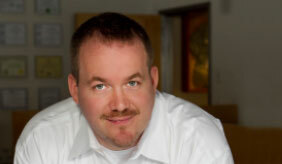 Andy joined the Brenner Builders team in 2009 and enjoys our personalized, collaborative approach to building homes. He brings a range of experience from previous employment with engineering and residential construction firms, where he involved himself with all aspects of the construction industry. Andy grew up in Westchester County, earned degrees from both SUNY Delhi and Towson University, and now lives with his wife and four children in New Milford, CT.